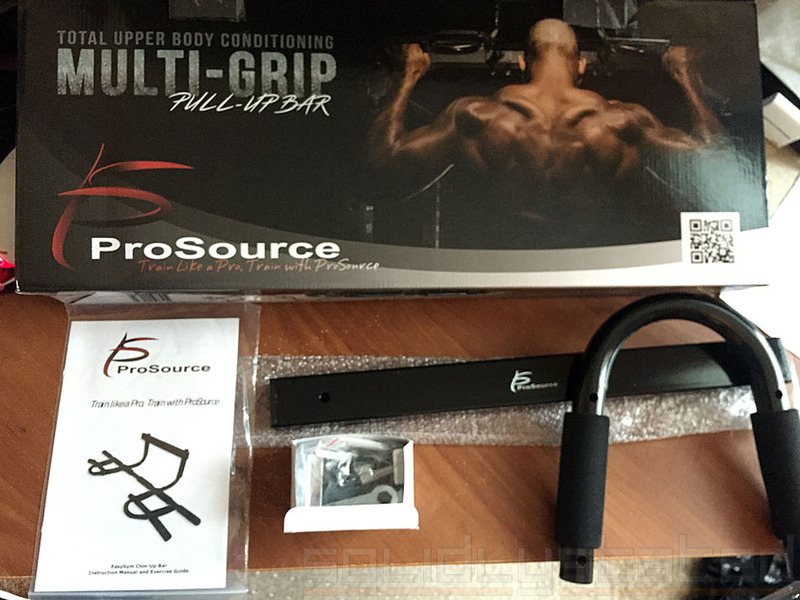 Ultimately, I went with Amazon Prime’s #1 best seller by a company called ProSource, not to be confused with the commercial fitness equipment company of the same name … or the fitness supplement company of the same name … or the many other companies of the same name. I don’t tend to buy based on popularity. After all, the $1 Totino’s party pizza is the “America’s best selling frozen pizza”, but that doesn’t make it any good. All of these bars are made in China. A couple have slightly different variations in hardware and packaging. 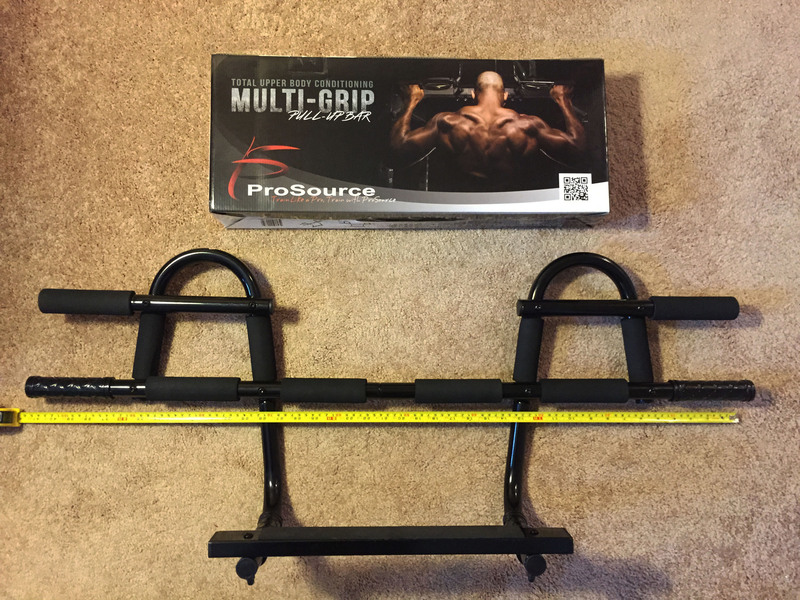 P90X had the bar tested independently at Integrity Testing Labs, where they claim to have subjected it to 500 pounds for 200,000 repetitions. 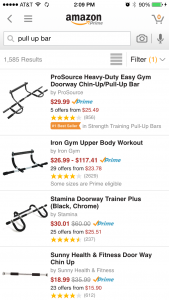 They compare it to the slightly different Iron Gym bar, claiming the competition failed after a fourth of the reps. They also doubled the price and added an additional $15 shipping! No thanks! Will any of these bars work for you? If you have standard doors in your home, you will be fine. The width measurement is the obvious one. However, there are 2 more pitfalls with these types of bars. First is the depth of your door frame. This type of bar distributes weight throughout the front and back of the doorway. Certain doorways are deeper, such as older homes with 8+ inches. You need a 5.5″ to 6.5″ depth for this unit. Secondly, watch out for nearby perpendicular walls. Half of my doors are at corners, meaning the bar hits one side. 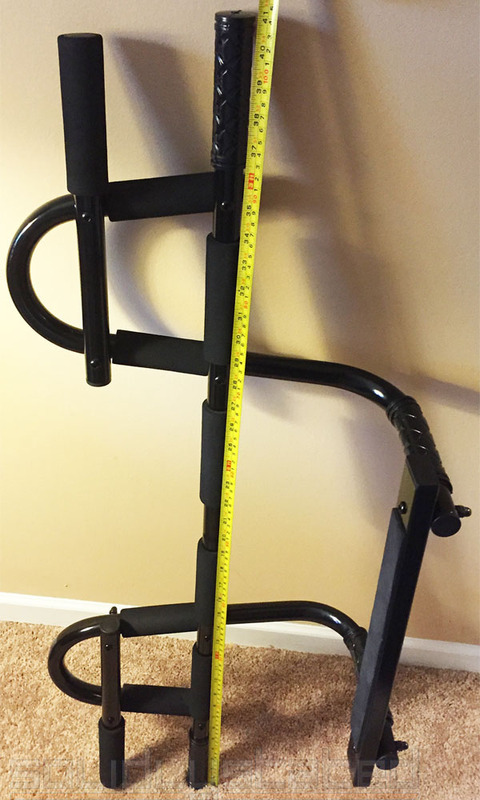 This style of bar is 41 inches long, so measure your intended destination first. Solid Tip: When measuring width for your bar, measure the door itself, rounding up to nearest inch. Don’t try to measure the frame. My standard interior doors are 24 and 30 inches. These bars officially support between 24 and 32. However, 24 inch doors are a very poor fit for this bar. Notice how these posts sit halfway on the door frame and will dig into it. Not ideal. A good fit. 30-32 is the ideal door width. 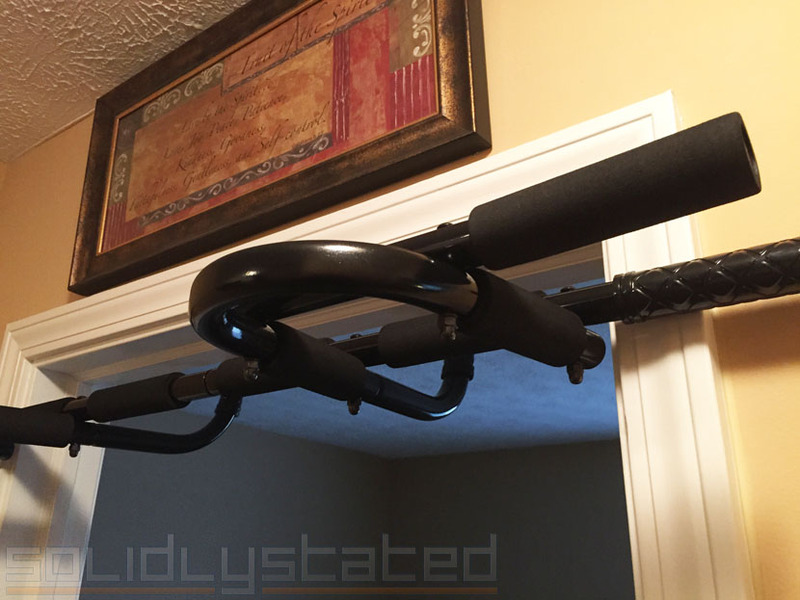 Most people have fancy frame moulding around their doors. It will get dented through light use of this bar. 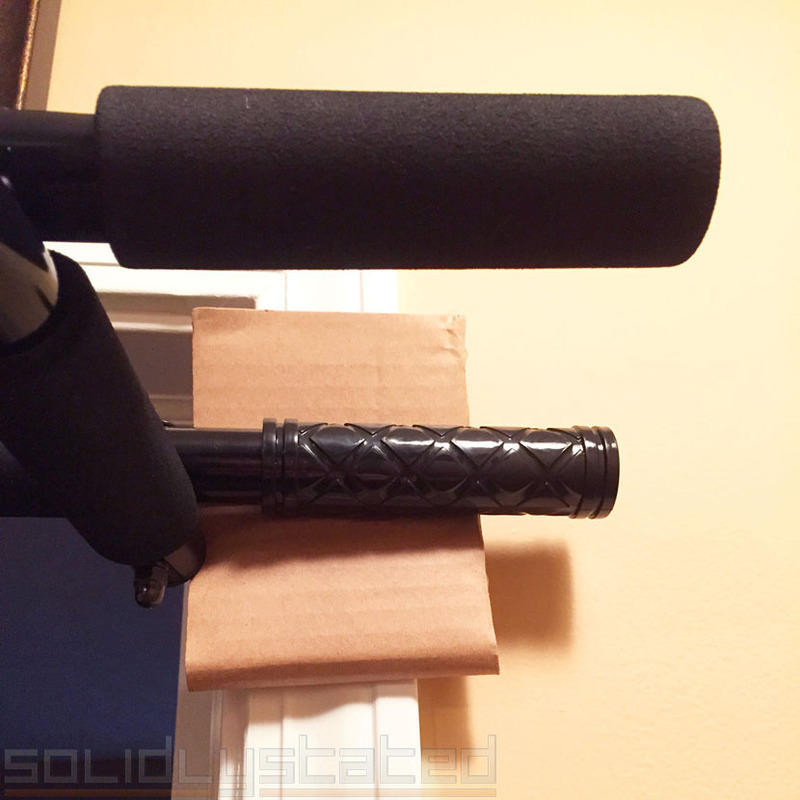 Do yourself a favor and stick some cardboard behind it or get creative and wrap it. One reviewer used boxer’s tape around the bar. At the end of the day, its a cheap metal bar. Get this one and don’t look back. The other sellers seem to have a lot of issues. 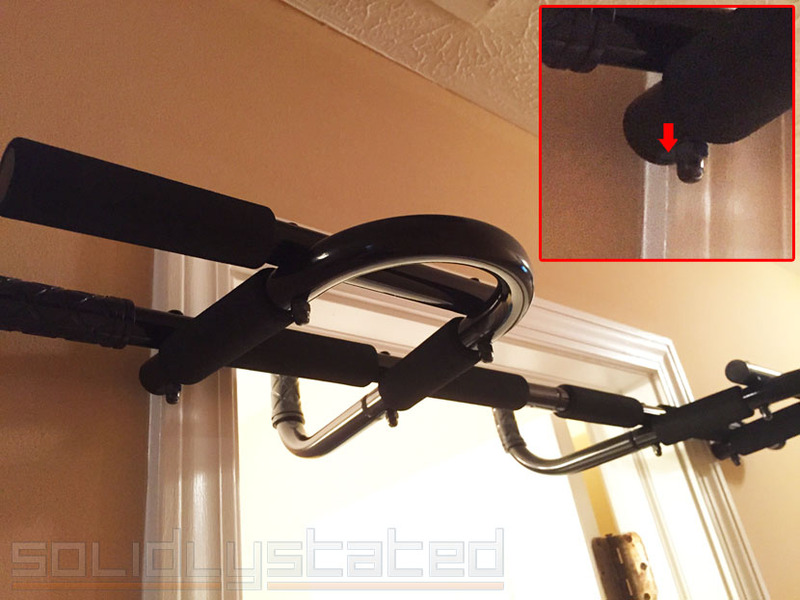 Pull-up bars are not adjustable. It may seem like something a customer would want, but when you exert hundreds of pounds of force on a metal bar, you want it to be a solid piece that doesn’t move. The foam grips certainly aren’t the quality you would find on gym equipment (which would be rubber). That’s because this is a $30 item. They look like they will last. It takes 5 seconds to put this bar up or take it down. These bars are rated for a 300 pound person. Thanks for taking the time to write this up. I’m getting this for my son and your explanation helped me to make the right decision. I have a door frame thats 8.5″ deep. Everywhere I look its made for smaller widths. What would you recommend that I get?